One of the most amazing things about the holidays as a parent: all the wonder and excitement comes back to you, as you see it through your little one’s eyes. One of the least exciting things about the holidays as a parent: you now have a zillion gifts to buy (grandparent gifts! 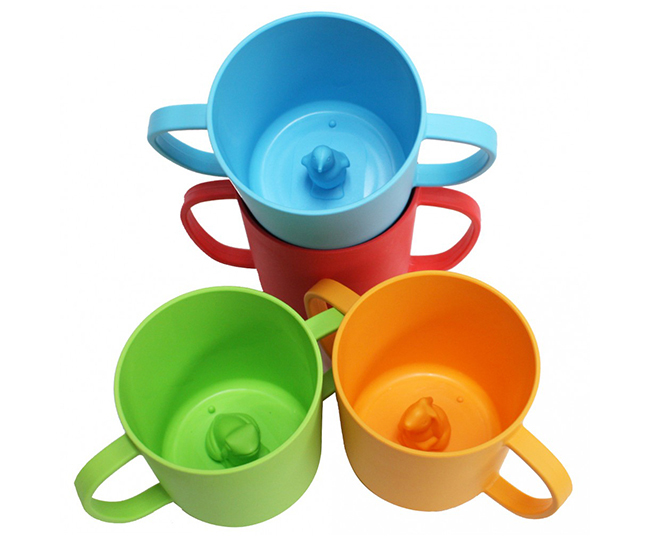 caregiver gifts! niece and nephew gifts! gifts from Santa! ), and no time at all in which to shop for them. 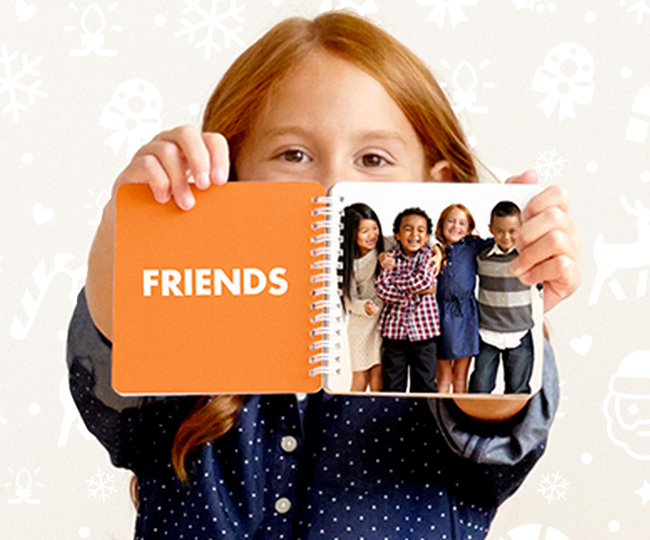 We’ve got you covered, with our picks for everyone on your list. 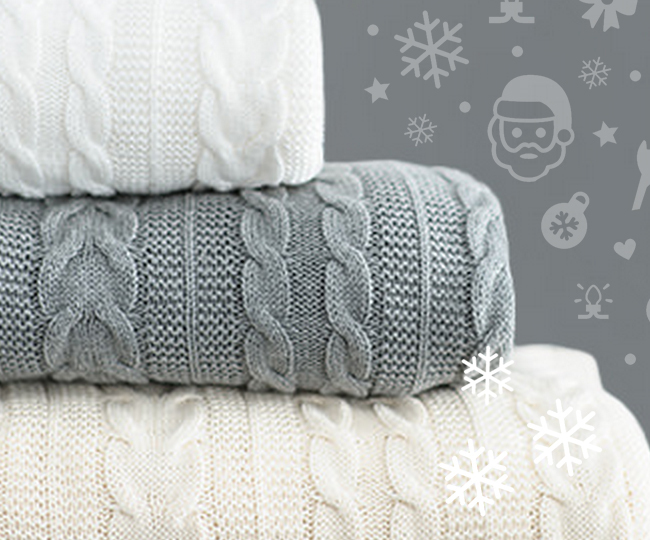 Plus: we’re giving you a chance to win something for everyone — more than $4,000 in holiday gifts! 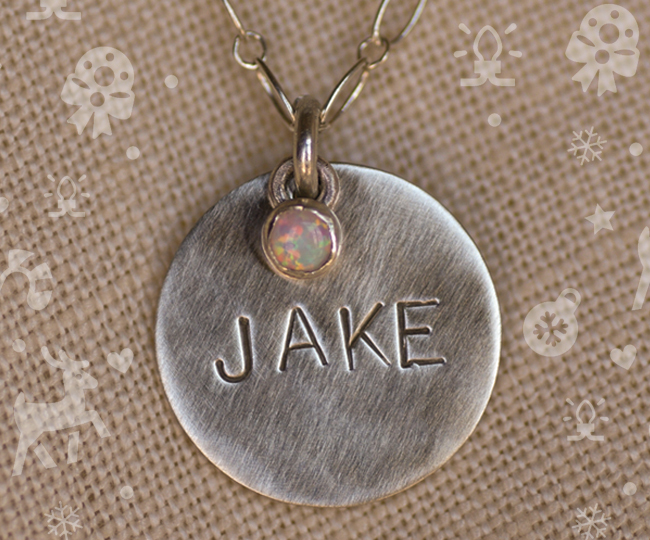 Swoon’s personalized necklaces feature your little one’s name, subtly engraved on a delicate pendant. 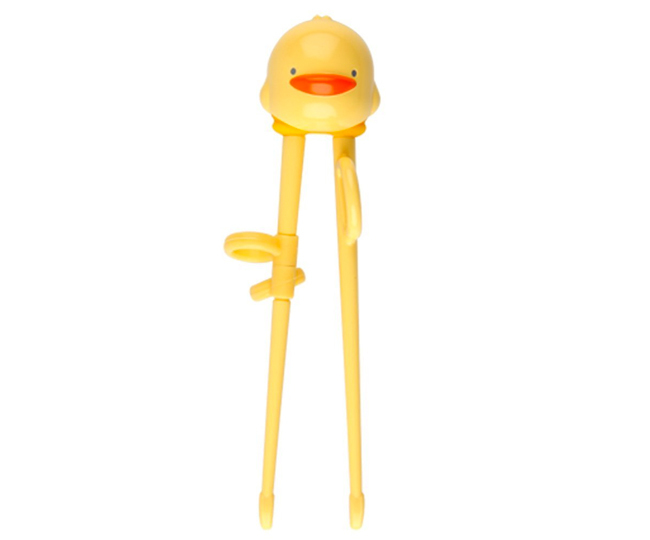 They have almost limitless options on their site, but this is our favorite. It’s simple, it’s classic, and it’s beautiful. Karma Go is a new pocket-sized device that gives you mobile WiFi while you’re on the go. 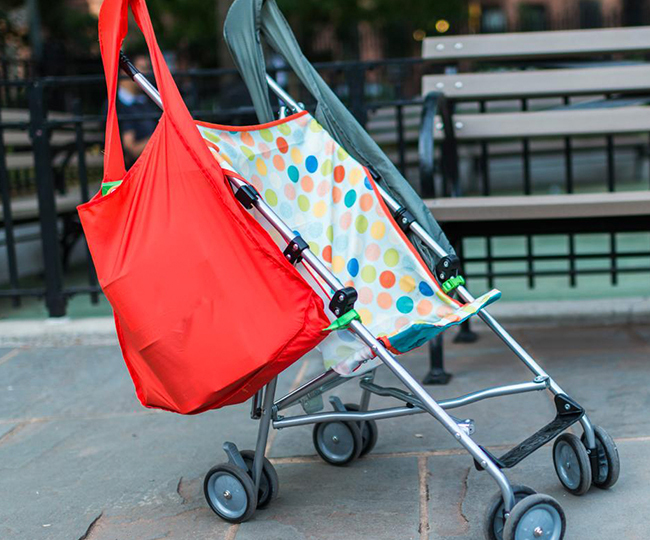 Whether you’re in the car with your kids, traveling to work or hanging out at the park, Karma Go keeps your devices connected so you never miss a beat. 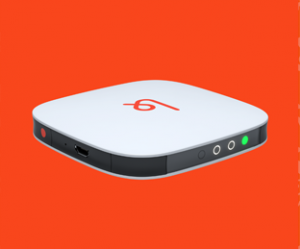 With no contract or monthly fee and non-expiring data, Karma Go is the perfect solution for all of your Internet woes. 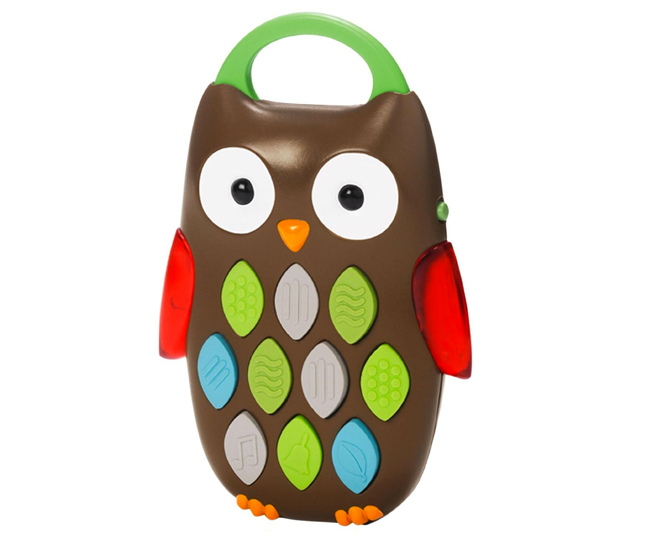 It’s also small and compact, making it a breeze to toss in your purse, carry-on or diaper bag. 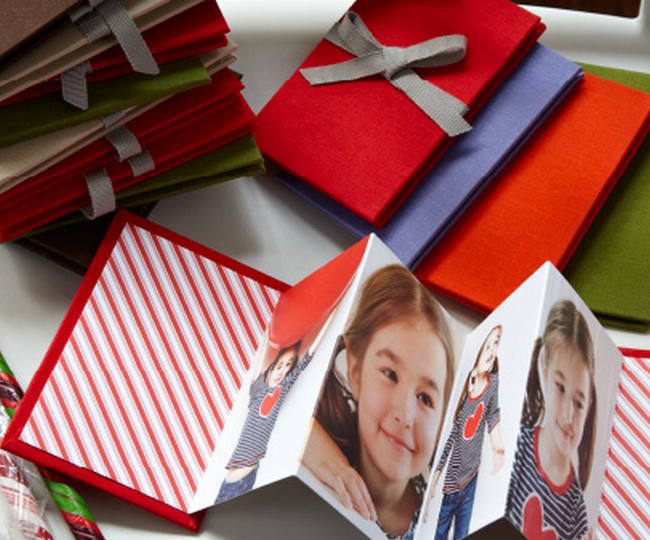 To say we’re obsessed with Pinhole Press would be an understatement; whenever we visit their website, we want to order *everything. 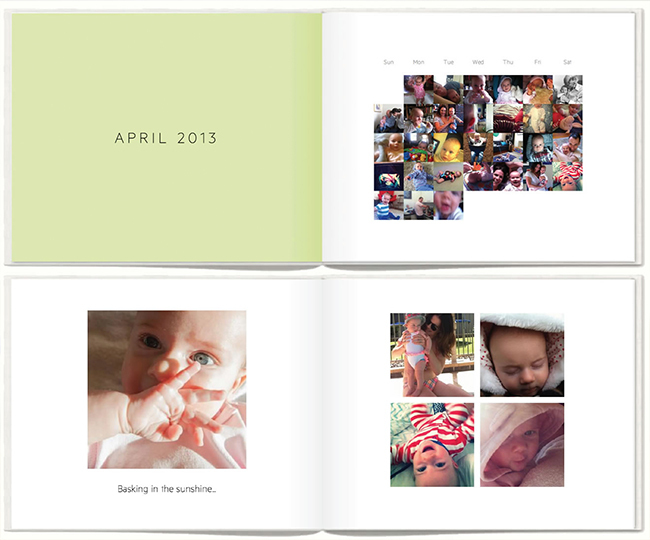 * The quality of their brag book is brag-worthy, and their photo notepads are a serious crowd-pleaser. Also ingenious: this emergency contact magnet (magnet, $4.99; peace of mind, priceless). Everything about Everlane is simple and stylish, including their philosophy that consumers shouldn’t be paying huge mark-ups for clothes and accessories. They sell directly to you — and only to you — but work with the same factories that make the big name brands you know. 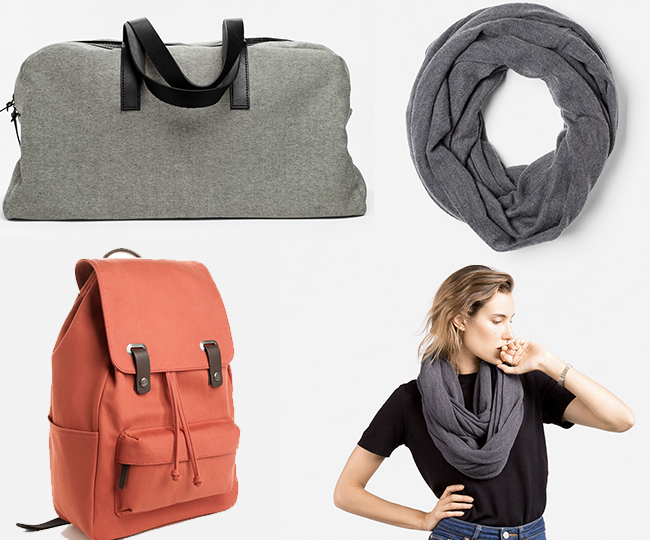 Our picks: the Weekender Bag ($95), the Snap Backpack ($65), and the Infinity Scarf ($55). 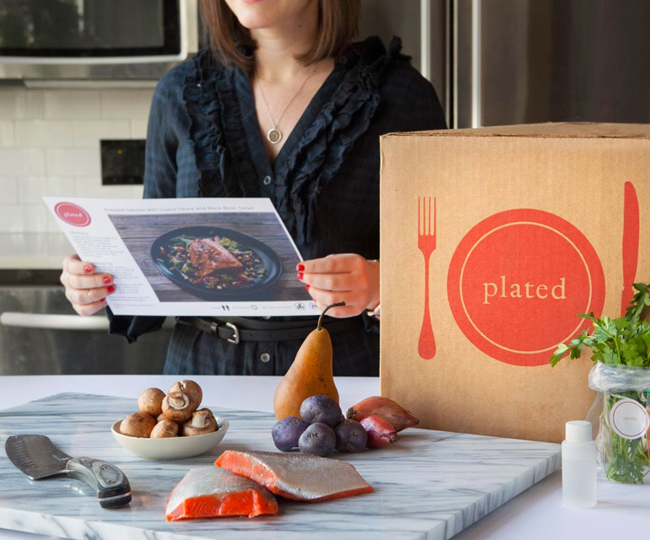 Plated helps you make your own restaurant quality meal at home, in just 30 minutes, after your little one is tucked into bed. You select the dishes that sound most delicious to you, and they send all the ingredients you need to your door. With simple directions that anyone can follow, it’ll turn even the most frazzled parents into gourmet chefs. 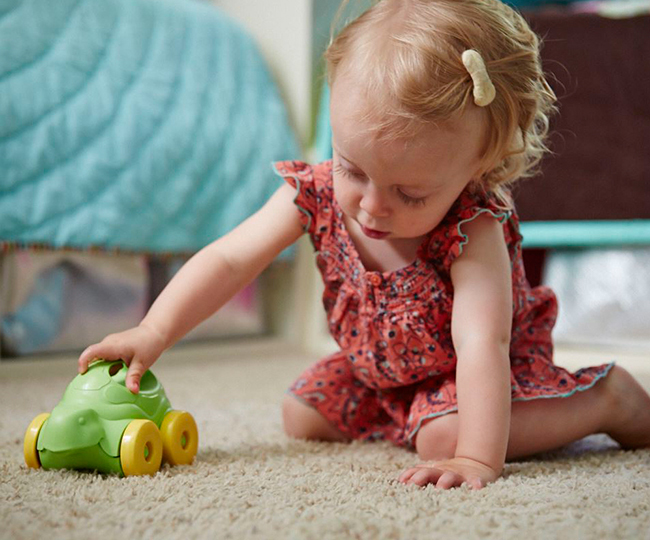 Tinybeans’ app helps you save and share your tot’s sweet memories — and not-so-sweet but still memorable moments, like that first kicking-on-the-floor tantrum. (Read about why weeLove them!) Their new Milestones and Mess-Ups Cards are a tongue-in-cheek way to celebrate them, with 31 cards, like “graffiti artist in the making” that you can snap a photo of. 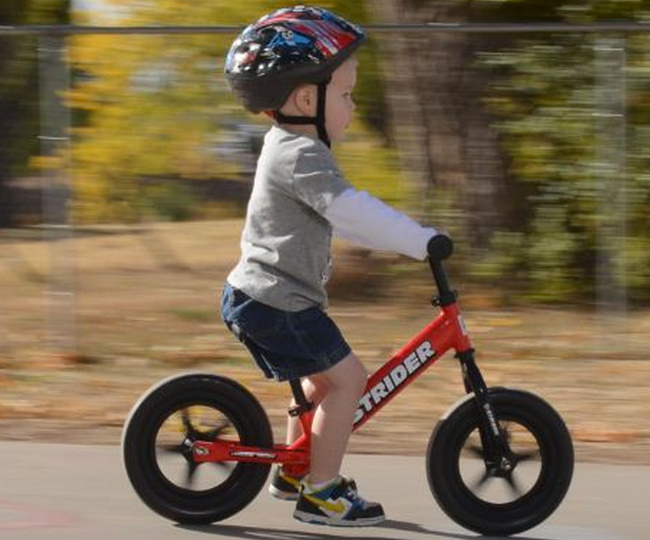 This junior ride-on is also a walking buddy for babies as young as nine months. 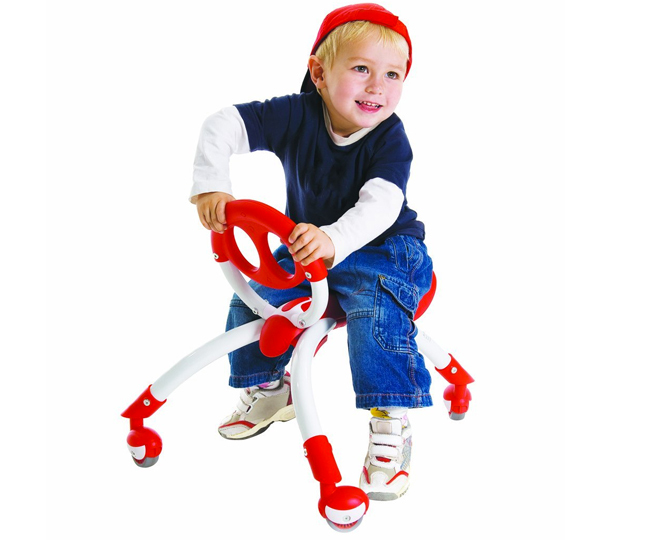 It’s been developmentally-designed to help support gross motor skills, and parents on weeSpring love that it is light-weight and great for indoors or outdoors… and it has won a ton of awards. 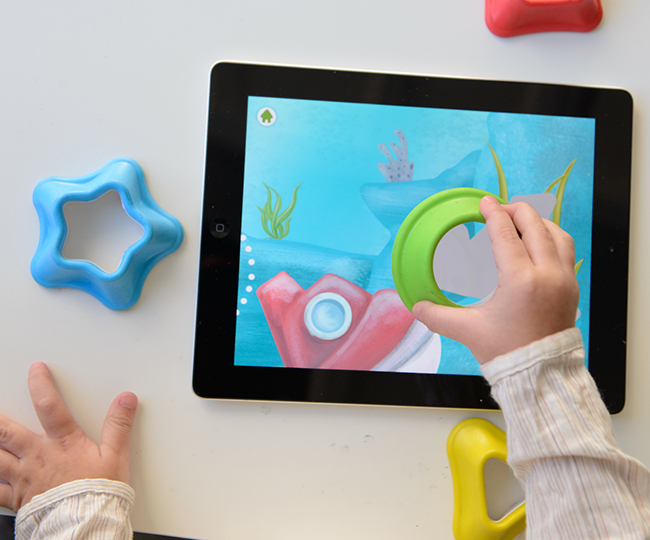 Tiggly brings together physical play and digital learning with their original toy, Tiggly Shapes (for toddlers 18 months and up) and now Tiggly Counts (for children 3+). Any iPad-obsessed kid is going to love it, and while it’s still technically screentime, as parents, we like the balance of bells-and-whistles-delight and old school imaginative play. 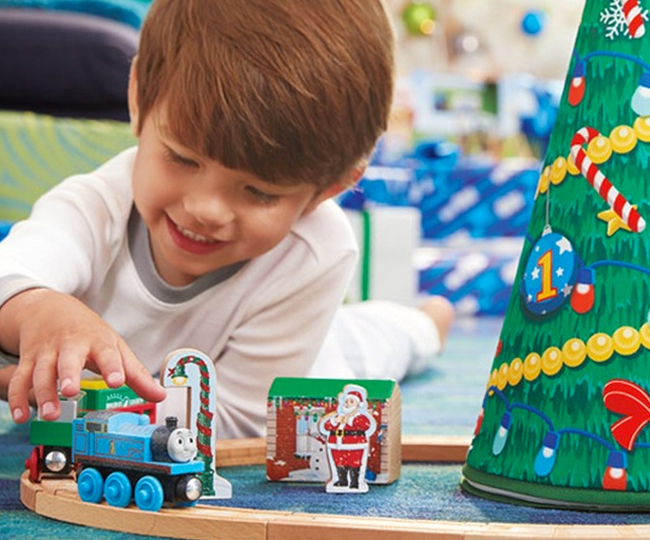 A train set under the tree is pretty much an iconic holiday image, and given our toddler’s (all all toddlers’?) obsession with Thomas, the Thomas & Friends Wooden Railway was an obvious choice. This year, they’re launching their first limited-release engine (Logan! 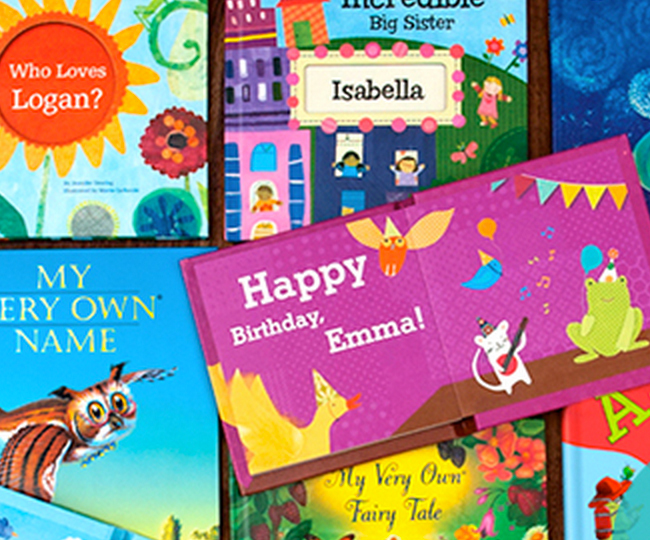 — serendipitous beyond words), but you can also order a custom engine with your child’s name. 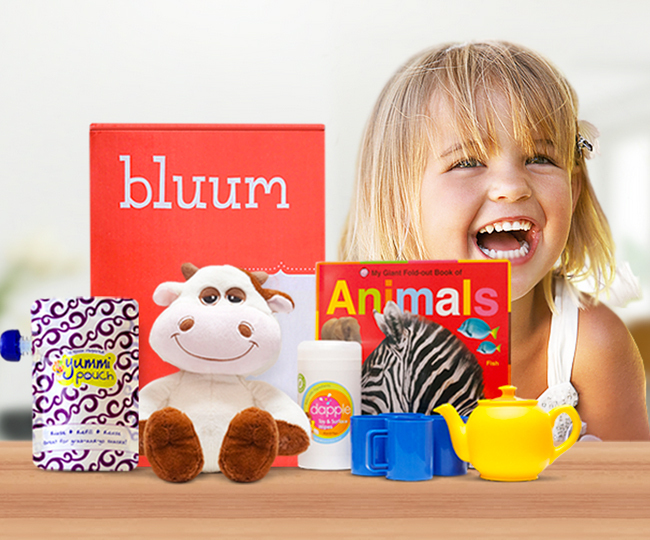 Whether you’re in the pre-natal months or the pre-school years, Bluum has something for you, and they deliver it in a monthly box that’s sure to delight. 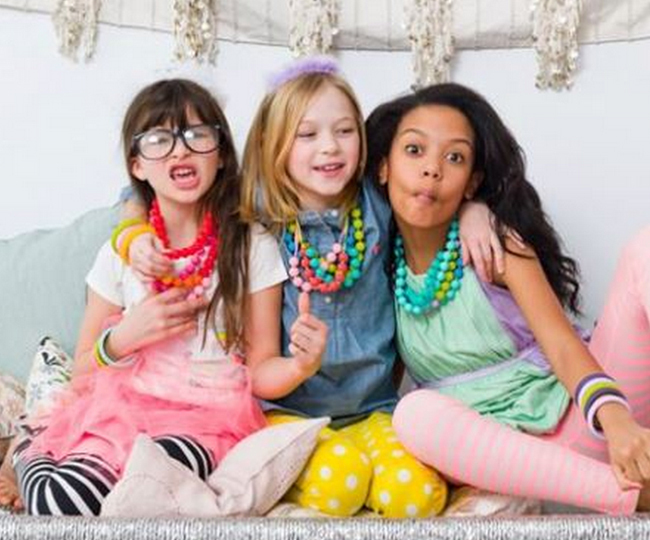 Their sophisticated technology hand-picks products for the exact age and stage of your baby (or your pregnancy), from 500 of the best brands out there for parents, babies, and toddlers. Little brains are hard-wired to learn language from zero to six (we are astonished on a daily basis by our toddler’s growing vocabulary), so Little Pim primes them for learning Spanish, French, Mandarin… or a half dozen other languages. 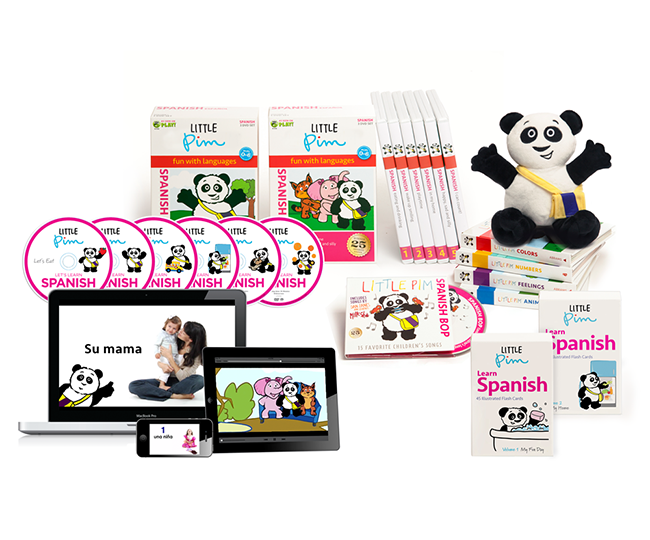 Their complete set includes six videos, two flash card sets, four books, a CD, and a super cute panda. 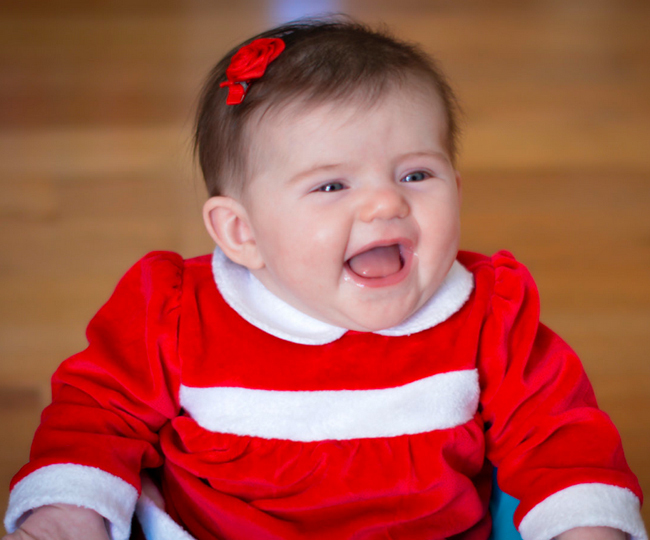 Kissy Kissy outdid themselves this year, with this velour Santa suit for baby girls and boys. 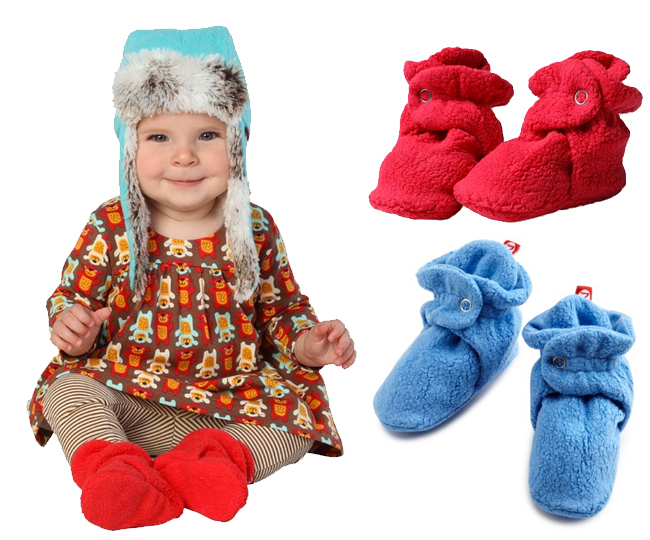 It’s heirloom quality, so after you dress your little elf in it this Christmas, you can tuck it away for her baby to wear in thirty years. 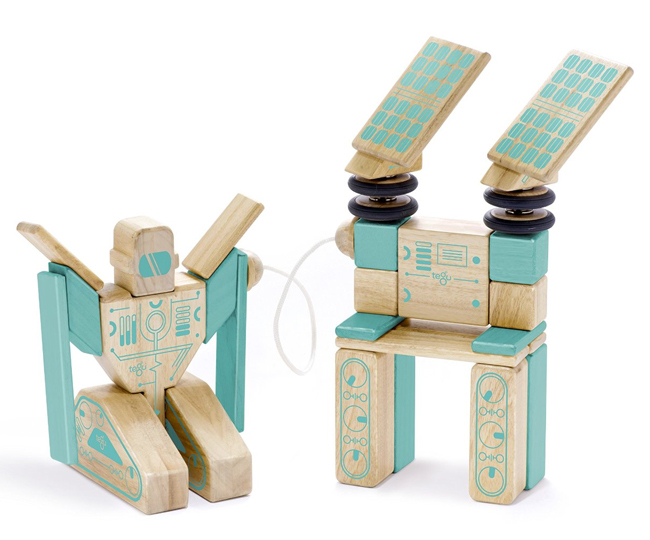 Tegu’s wooden blocks have a little bit of magic inside: magnets that make building creative, gravity-defying structures fun and simple for little hands (and their parents’ hands!). 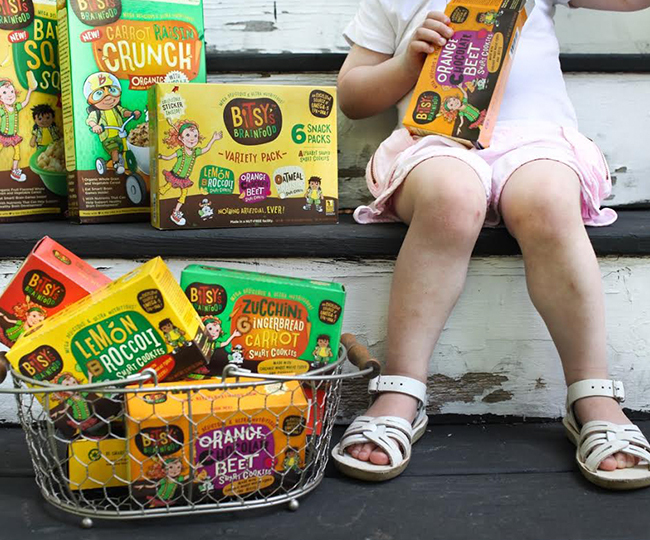 They’re sourced from sustainable co-ops in Honduras, so you aren’t just giving a gift to your child… you’re supporting an economy and the environment. 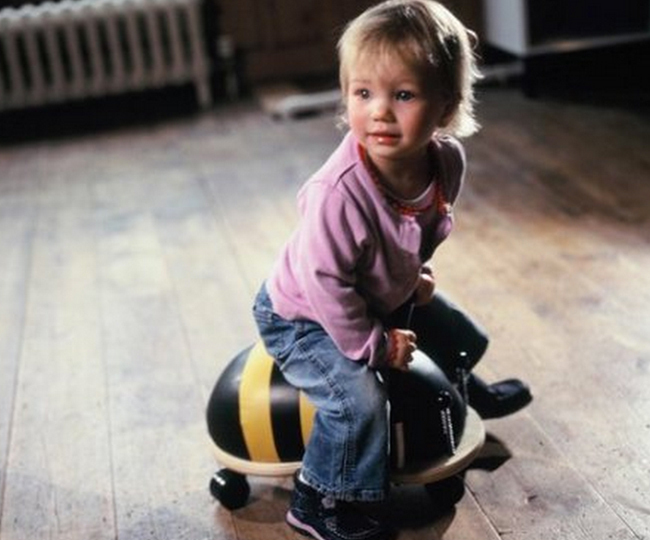 We usually steer clear of recommending big, clunky toys with all the bells and whistles — but we’re making an exception for the Exersaucer, because it plays double duty as a gift for mom and dad. We’ve been known to call it the “circle of neglect,” since it affords you time to enjoy luxuries like brushing your teeth, making a sandwich, and emptying the dishwasher. We like this one because it has a longer shelf life, with three variations on how it’s assembled. 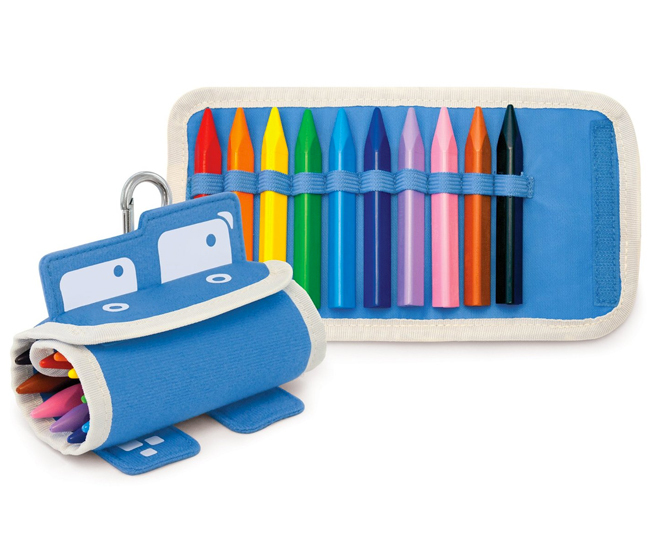 P’Kolino’s triangular crayons are already a huge hit on weeSpring, but their cute Mess Eaters Travel Roll takes them to the next level. 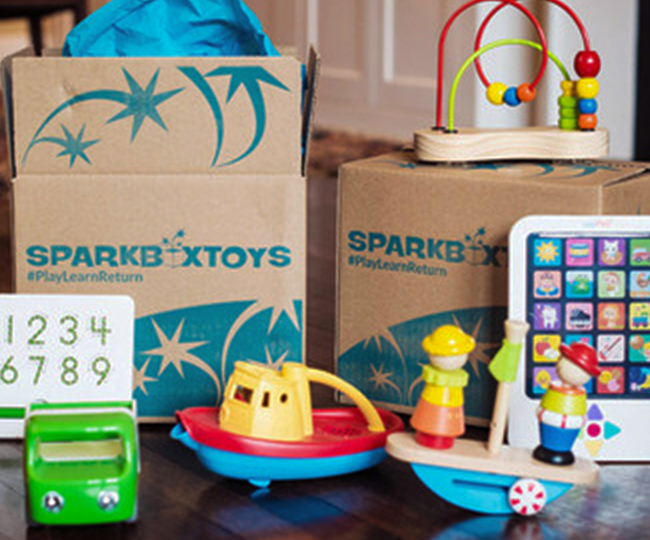 Green Toys makes toys that are… green. 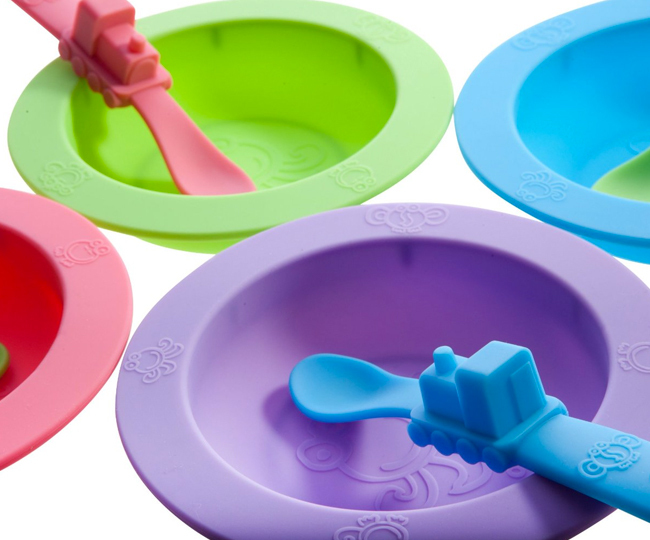 They’re made from recycled milk jugs, without any of the yucky stuff, and are durable as anything — with adorable, functional designs like school buses, seaplane, and submarines. 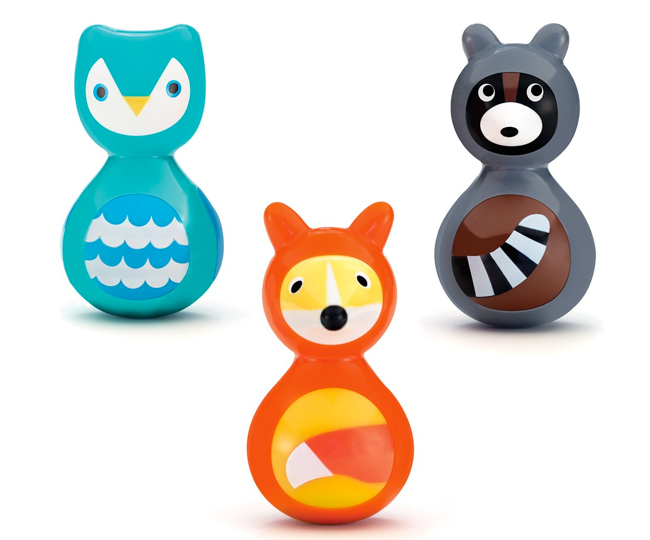 We love their new push toys for little babies that are made in the USA — and dishwasher safe. Want a chance to win something for everyone on your list? Enter our mega-giveaway, worth $4,000.